Restaurateurs like you combine entrepreneurial gumption with culinary passion and expertise to bring delicious dining destinations to your communities. These days, building a website to represents your restaurant that is just as eye-catching as your entrees is a must if you want to take advantage of the social/local/mobile (aka "SoLoMo") revolution and drive more customers to your restaurant. Here's a half a dozen reasons why using Squarespace for restaurant websites is an appetizing idea. There's nothing like full-color photos to tantalize taste buds and drive interest in the items on your menu. Squarespace's award-winning templates are completely customizable, too, so you can achieve a unique look and feel that is both beautiful and effective at driving more customers to your location(s). Check out our templates guide, and be sure to pay special attention to templates like Adirondack, Aviator, Dovetail, Frontrow, Momentum, and Peak. Squarespace's website templates are all mobile-friendly right out-of-the-box. Your website are built with impressive responsive design best practices, which means customers will see the a tantalizing website no matter which device they have. Smartphones are where people are when they decide they're hungry these days. Squarespace gives restaurants a leg-up. Your restaurant's website will look great on any mobile device with Squarespace's responsive design templates. Squarespace makes it easy to show people how to get to your restaurant by seamlessly integrating with Google Maps. Simply add a map widget to your Squarespace website and enter your address. Squarespace takes care of the rest, bringing you stylish and elegant Google Maps customized for your restaurant's website. Squarespace integrates with Google Maps. Provide patrons with an easy way to make reservations with an OpenTable widget that works with your existing account. 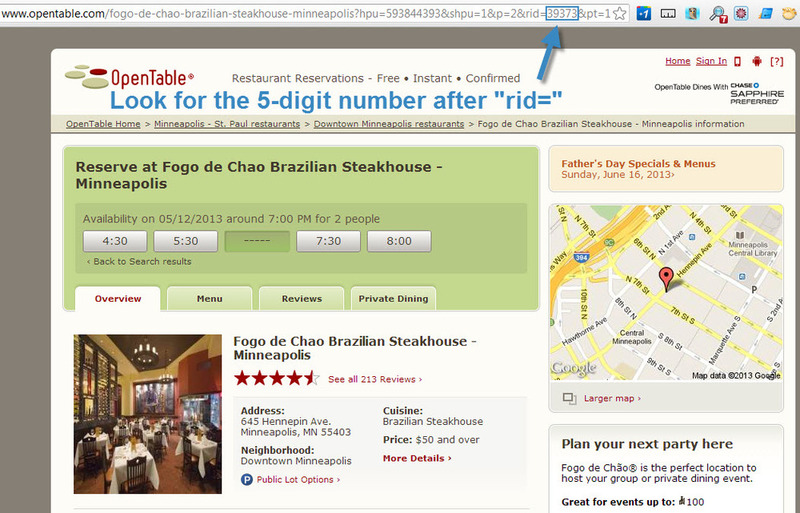 If you already work with OpenTable for reservations and reviews, simply visit your restaurant's profile page and copy the five-digit "RID" code within the page's URL. Paste your OpenTable RID into the Squarespace widget to enable reservations on your restaurant's site. Paste your restaurant ID in your Squarespace OpenTable widget and you've given your customers an easy way to book reservations at your restaurant straight from your website. Embed a Squarespace OpenTable reservations table on your website. Squarespace recently released a lightweight menu system with simple formatting options for price, menu item titles, descriptions, and some minor design options to account for variations in products and visual preference. Squarespace's menu widget allows for lightweight formatting options for your menu items. You want your website to show up when people search for food and restaurant options within their area. Squarespace is SEO-friendly and is a reliable platform when used as a part of an effective online marketing strategy. Are you a restaurateur looking for a website platform for your place of business? Take a look at these awesome Squarespace websites and then check out Squarespace's two-week free trial to see if your restaurant might just be a Squarespace restaurant. Small business owners demand many tools in a content management system in order to build a website that will bring in new customers and keep the ones you already have. And even when you find a platform you can work with, you also need customizable templates that help your business stand alone. The many Squarespace themes, or templates, are incredibly business-friendly, and offer six major advantages for small business owners considering their web publishing options. Every Squarespace template is different, and each offers a unique combination of highly configurable options to support the creation of web pages, image galleries and portfolios, product pages, and more. Use drag-and-drop controls to build each page with intuitive tools. Each Squarespace theme supports every standard widget block. You can either invest in a website that requires thousands of dollars in custom integrations, or you can go with Squarespace, which includes simple, out-of-the-box connections with small business tools such as Google Docs, Mailchimp, Google Maps, Google Analytics, Facebook, Twitter, Disqus, Amazon, Pinterest, Reddit, Tumblr, and more. Squarespace integrations include many plug-and-play connections with popular small-business services. No one likes a cookie cutter website. The stale look of stock photography and a theme that induces Internet deja vu will make it challenging to differentiate your small business. Squarespace's templates can be customized infinitely using the unique drag-and-slide interface. Simply click on a section of your website in Squarespace's style mode and make a quick change using the tools provided and you'll be on your way. The WYSIWYG (what you see is what you get) design tools of Squarespace cut down the time and effort required to administer your website. Edits take just a few minutes so you can be in-and-out, and back to managing your business. It's hard enough to plan and build a website. You don't want to have to worry about extra steps to make sure you show up in the search engines, too. 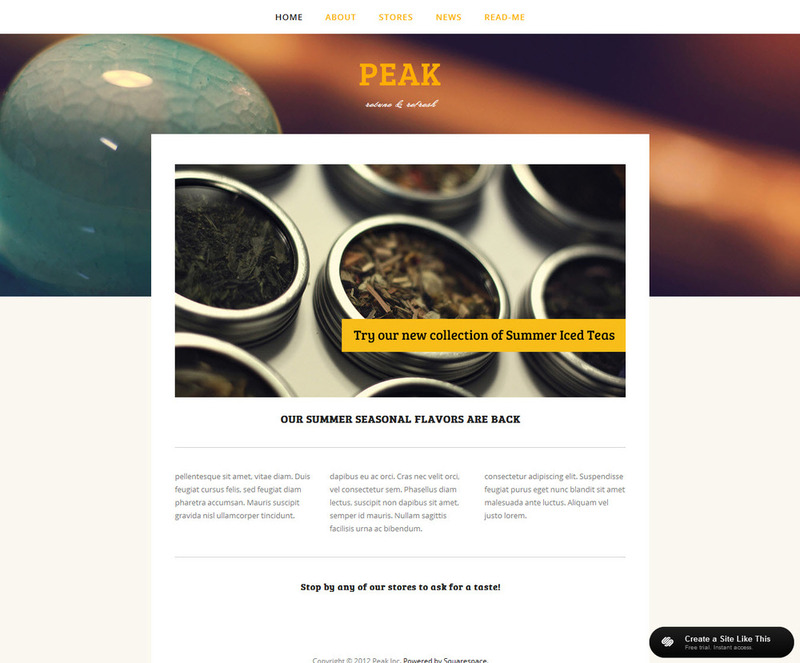 Squarespace templates are all search engine optimization-friendly (SEO-friendly). You have full control over the important areas of your web pages, including meta titles, descriptions, and even image attributes. You can configure each meta title in Squarespace for maximum SEO impact. Everyone knows that mobile devices and tablets are where it's at in this day and age of the mobile web. Every Squarespace theme is built with an approach called responsive design, which means the design of your website responds to each device that loads it separately. Your website looks great on desktop browsers, tablets and smartphones without paying thousands of dollars for mobile-friendly website development. Responsive design means your business looks amazing on any device. I personally loved how easy Squarespace made running my consulting business when I was taking on new clients through Big Picture Web. Every Squarespace website comes with a free two-week no-credit card trial, so there's no risk. Start your small business website using one of the many Squarespace themes, and you'll be convinced by the end of the trial. What are you looking for most in a small business website? What services have you tried that haven't quite fit the bill?